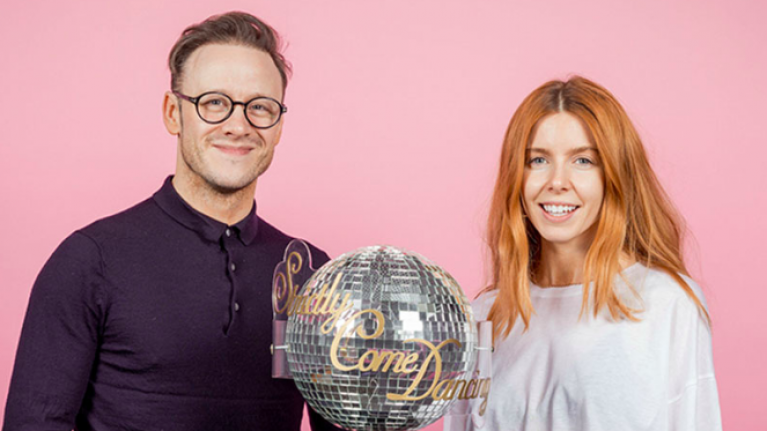 Stacey Dooley has responded to he ex-boyfriend's claim that Kevin Clifton is to blame for their breakup. Sam Tucknott called the Strictly Come Dancing star an "absolute rat" and said that he had caused the pair to split earlier this year. He said he had found messages from Kevin on Stacey's phone while she was competing in the BBC show. "It said, ‘You did really well. I love dancing with you and spending every minute with you’," he told The Sun. "As a guy, as a boyfriend, I noted it but I didn’t want to bring it up with her." Stacey has since responded to Sam's tell-all interview calling some of the claims "utter nonsense." "Anyone with any adult life experience knows there are 2 sides to every story. Stacey and Sam split up at the end of last month due to her heavy workload. “She barely saw him during the month-long tour and has gone straight back into filming documentaries and has been travelling all over the world," said a source. “Their lives have just gone in different directions." Kevin has yet to address Sam's claims. He split from fellow Strictly professional dancer Karen Clifton before the beginning of last series. The pair have managed to maintain a solid relationship since ending their marriage as they continue to work alongside one another on the show. Kevin and partner Stacey emerged victorious last year taking home the coveted Strictly glitter ball trophy.